How do you stand out in a mass-produced society? Start with something no one else can have – your own unique work of art. 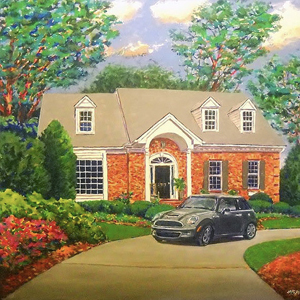 Have McRay create a beautiful, one-of-a-kind piece of artwork of your home, church, school, boat, garden or business. Commissioned artwork is hand-pained on canvas and is available in the following sizes: 24×36, 30×30, 30×40, 36×36, 36×48, 48×48, 48×60. Love McRay’s artwork but want a unique piece for your own space? 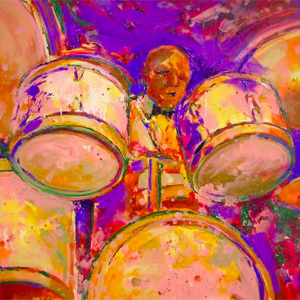 Commission your custom jazz artwork hand-painted on canvas in the following sizes: 18×24, 24×36, 30×30, 30×40, 36×36, 36×48, 48×48, 48×60. 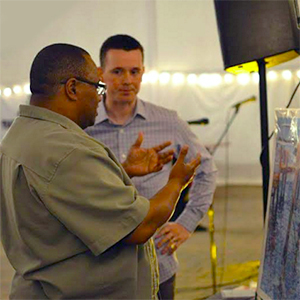 In addition to his art instruction experience, McRay is a seasoned lecturer and can bring his years of knowledge and experience to your school, church, arts organization, arts council, or group as a guest speaker. McRay is a seasoned artist with a keen eye. Using his extensive juror experience, he has selected works and awarded artists. McRay has juried many art exhibitions, judged competitions, art auctions and grant proposals, which include the Artspace Artists Association Standards Committee, Works of Heart Art Auction, the Beaufort County Arts Council, the Durham Arts Council, the Visual Art Exchange, Scholastic Art Awards for Eastern North Carolina and many others. 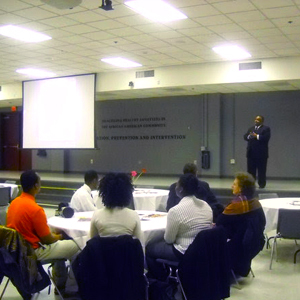 McRay is available to aid your organization or group.